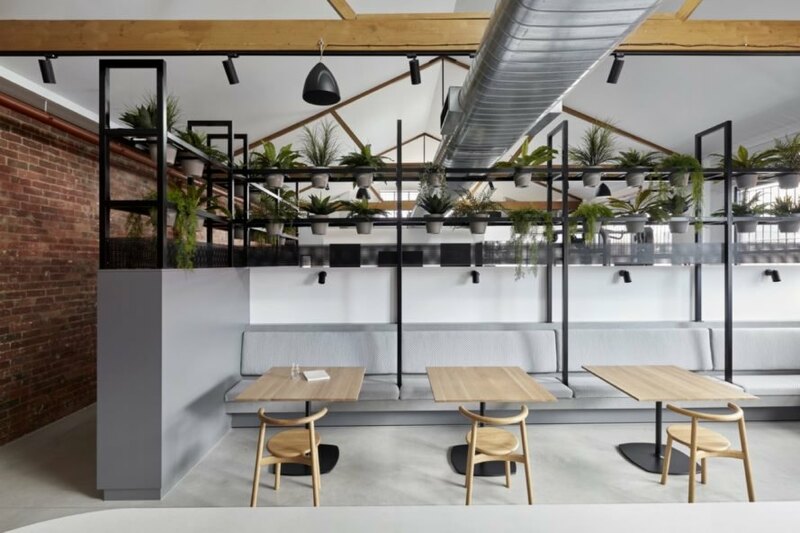 Australian architecture and interior design firm Studio 103 has given a tired warehouse on Melbourne’s Hoddle Street in Abbotsford a new lease on life as their new modern and light-filled workplace. 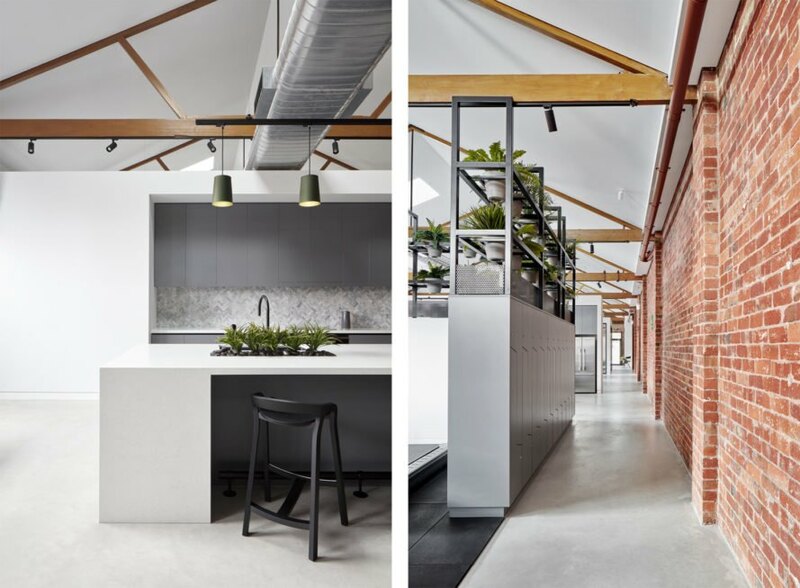 The adaptive reuse project sensitively references the building’s manufacturing history, from retaining existing architectural elements to the application of an industrial-inspired material palette. 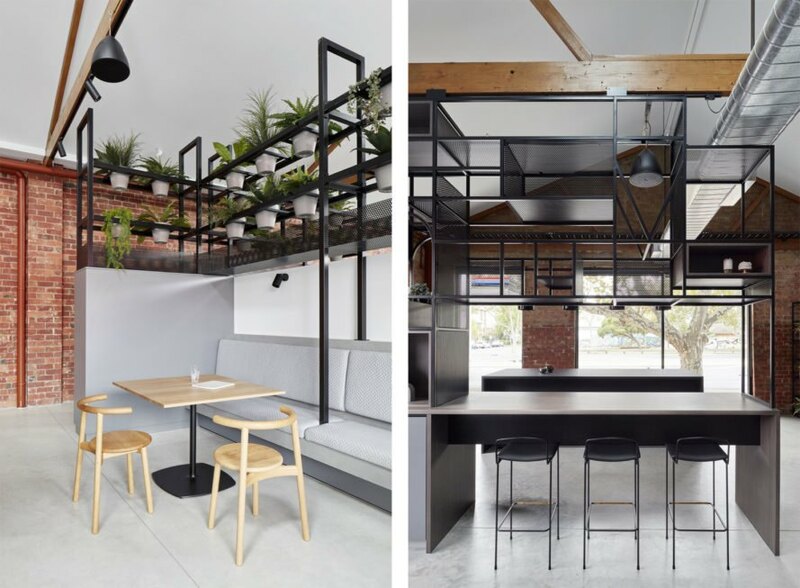 The rehabbed structure now serves as a modern and agile workplace that prioritizes health and wellbeing through ample access to natural light, a gym and plenty of greenery. Formerly used by British haberdashery manufacturing company Faire Brothers & Co for producing clothing parts in the 1940s, the warehouse at 310 Hoddle Street has changed hands over the decades, yet has always remained in the textile industry. 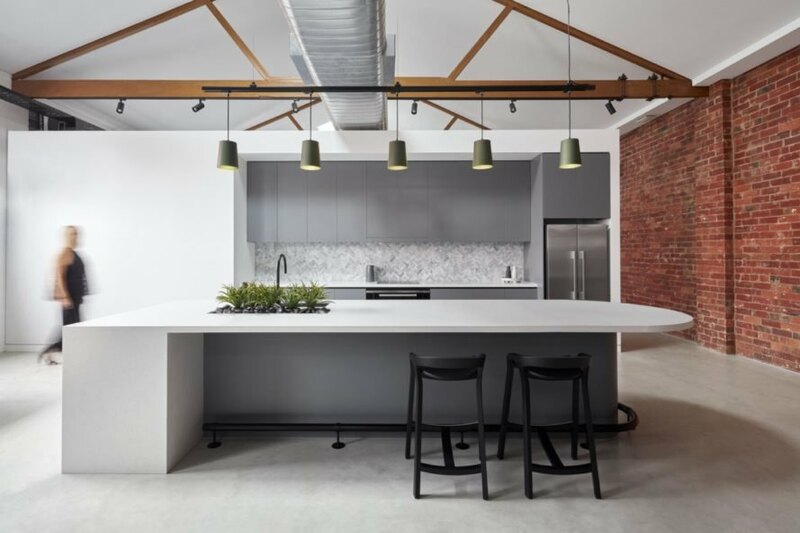 Now defunct, Studio 103 seized the chance to repurpose the old warehouse as part of a growing adaptive reuse trend in Abbotsford. The interior design firm teamed up with building partners McCormack Property Services, who are conveniently located in the building right next door. The rehabbed warehouse has been divided into a series of zones conducive to collaboration between both companies. 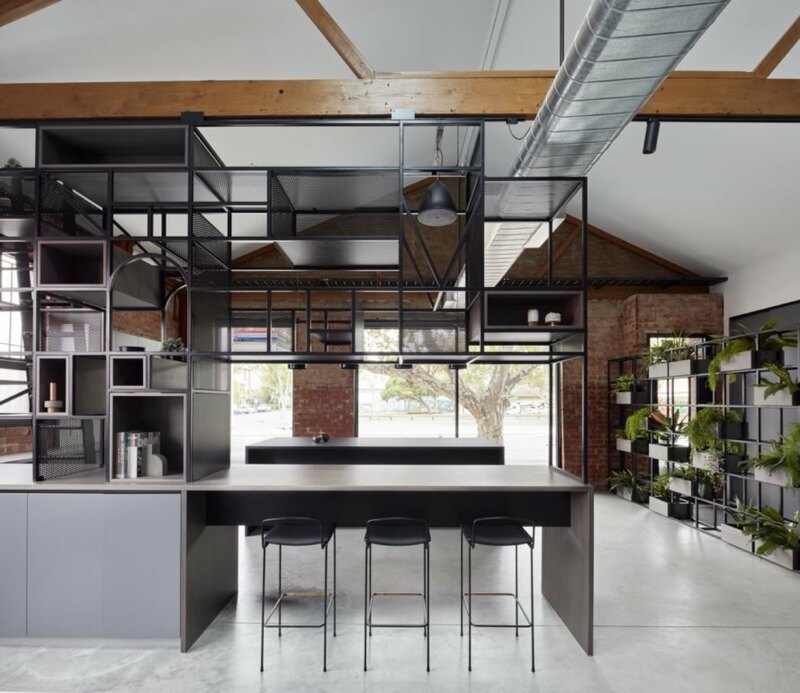 Industrial influences can be seen in the preserved architecture—the original red brick walls, large black-framed windows and polished concrete flooring—along with new sleek additions such as the industrial-inspired shelving. The designers also added floor-to-ceiling windows that flood the interiors with natural light, while timber trusses and greenery lend a sense of warmth. The revamped warehouse is located on one of Melbourne's busiest streets. The workplace features lush greenery and a gym. The industrial-inspired design has caught the attention of the local community. 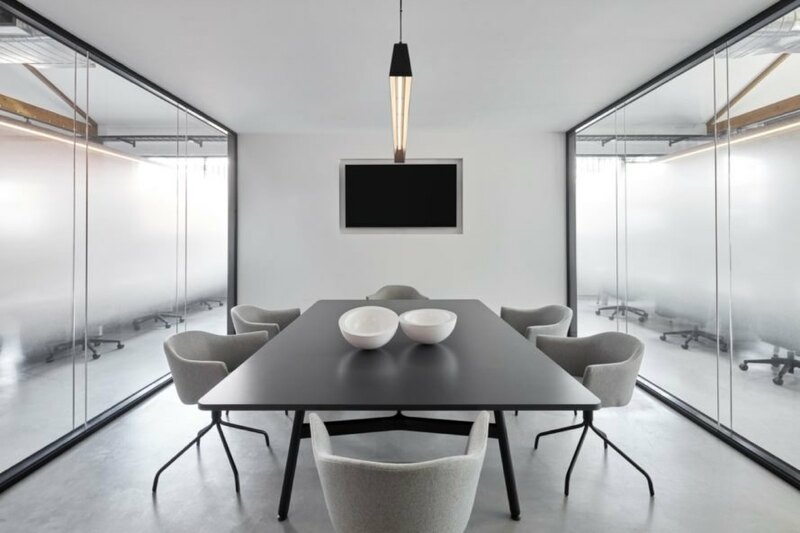 A glazed boardroom is one of the many added work areas. There are numerous spaces within the building that encourage interaction. The remodeled work space is also equipped with a kitchen. The design provides the modern workplace staff with a place to learn, work and socialize.